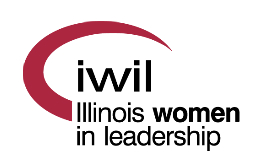 Join us for our monthly luncheon, open to all IWIL members and their guests. Registration is $18 per person on or before February 15 and $23 after February 15 11 or at the door. As Head of the Traditional Investments Group, Lisa is responsible for directing all aspects of traditional investment research and fund manager selection for U.S. Bank Wealth Management. This includes due diligence, strategy research, idea generation, data management, and client research reports on long-only equity, fixed income, balanced and specialty strategies.The platform of approximately 300 strategies includes both active and passive options, in all key investment styles. Lisa has been instrumental in ensuring effective delivery and depth of traditional investments advice for all Wealth Management clients. This effort includes overall platform direction and maintenance, ongoing enhancement of processes, research and development, and delivery of new services and client communication methods. Moreover, she has led expansion of the international equity platform to include newer strategy types, such as frontier markets and international small-capitalization stocks, to provide additional opportunities for client investment. Lisa has more than 25 years of experience in the financial services industry. Prior to joining U.S. Bank, she led research teams at Russell Investments and Altura Capital. She also served in numerous other roles, including capital markets analysis, creation of investment infrastructure, product development and management, and institutional client service. Lisa is a member of the CFA Society of Minnesota and the CFA Institute. She has a passion for serving her community, demonstrated by her participation in a number of charitable endeavors.